Radley - Red Large Tote/Grab Bag. Condition is Used. Hanging leather Radley dog. Give your wardrobe a chic update with our quilted bag range. A sophisticated take on the quilt trend, the internal splatter spot lining adds a playful touch. Take this block colour tote to the office, fitting in all your essentials and adding a sleek finish. Open pocket to the outside of bag and there's also a hidden side pocket with Velcro strap closure. 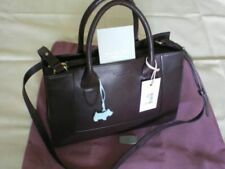 GORGEOUS & QUIRKY RADLEY HANDBAG. LOVELY COLOUR AND STYLE. INSIDE POCKET. 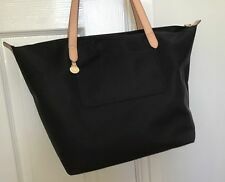 Radley 'Corams Field' Nylon Foldaway BAG. Perfect size to carry in a handbag. Folds away into a tiny nylon bag. 2 handles, long enough to wear over the shoulder. 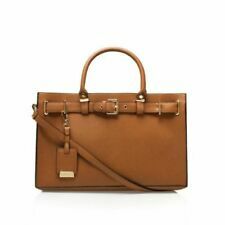 GENUINE RADLEY LONDON. GREEN BACKGROUND WITH RADLEY DOGS & LARGE POLKA DOT PRINT. Mid-Green Colour Background with Print of Much Loved RADLEY Dogs in Grey and Large Cream Polka Dots. 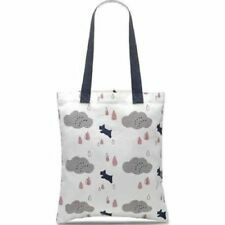 Grey Press Stud Fastening with RADLEY Dog in White. 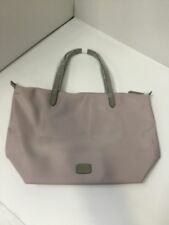 A REALLY USESFUL CLEVER BAG FROM RADLEY. THE INNER MOON DOT BAG. THE INNER BAG ATTACHES TO THE OUTER BAG BY A POPPER. THE OUTER CLEAR BAG. 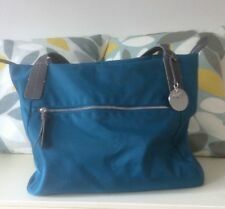 THIS BAG IS SO VERSITILE THAT IT WOULD MAKE A WONDERFUL THOUGHTFUL GIFT FOR THAT BUSY PERSON. 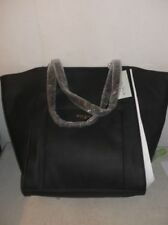 Radley 'Kenwood' Nylon Foldaway BAG. Perfect size to carry in a handbag. Folds away into a tiny nylon bag. 2 handles, long enough to wear over the shoulder. Radley New Dashed Spotty Foldaway Tote Bag. Stylish and practical on-the-go bag featuring the Radley dog in an dots and spots print design. Will you accept a lower price for this item?.